It’s Pumpkin Spiced everything season. If you have been to your local grocery store, restaurant or coffee shop you have seen all of your favorite items transform into pumpkin spiced versions. You might enjoy this fun fall flavor, but it’s important to know what you are actually consuming. 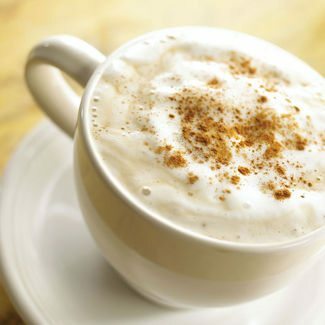 Let’s start with one of the favorites, the Pumpkin Spiced Latte. This coffee creation looks, tastes and smells like fall. So what’s the big deal? Well, depending on where you are getting your drink there is probably caramel coloring in it. Caramel coloring is found in many beverages and is on the list as a possible cancer causing ingredient. Next, we have the excess amount of sugar, especially if we add the whipped cream. A typical 16oz pumpkin spiced latte contains about 50g of sugar. That’s as much sugar as in three Ding Dong cakes. If you are ready to dump out that drink, there is good news. There are many healthy alternatives. You could make a pumpkin spiced smoothie or your own pumpkin spiced latte. Heat up your pumpkin puree in a sauce pan and add the stevia or honey. Once warm add in a blender your puree, coffee or espresso, and milk option. Blend for a few seconds to froth up and pour into mug. Add optional whip cream and pumpkin spice to top. If eating delicious pumpkin treats are more your style, there are some great alternatives there too. A traditional slice of pumpkin bread contains over 400 calories. If you aren’t trying to grow a pumpkin spiced belly, the swaps below are great waist savers. The post-holiday version of you will be thankful you have made these healthy swaps. Most recipes call for too much sugar. Try removing just 1/5 of the amount that’s being called for. Better yet, swap it out with honey, stevia or a mix of these to cut the sugar and calories. Plain Greek yogurt is a great swap for butter and oil. If you are just starting to make healthy swaps in your cooking and baking, try a half and half recipe and keep half the butter or oil and use yogurt for the other half. Try swapping in healthier oils such as olive oil or coconut oil. Adding in a scoop or two of protein powder into your recipes is an excellent way to add that protein punch. Many good options come in chocolate and vanilla which works well with many recipes. I hope you enjoy these healthier swaps and have a Happy Pumpkin Spiced Season.